Hiroshima survivor recalls horrors Jump to media player Thursday marks 70 years to the day since the United States dropped the world's first atomic bomb on the Japanese city of Hiroshima. The doctor who survived Hiroshima Jump to media player In August 1945, former medical officer Shuntaro Hida survived the world's first atomic bomb attack on Hiroshima. In August 1945, US planes dropped two atomic bombs - one on Hiroshima, and the other on Nagasaki three days later. It was the first and only time that nuclear weapons have been used in history. Tens of thousands of people lost their lives as a direct result of the bombings. 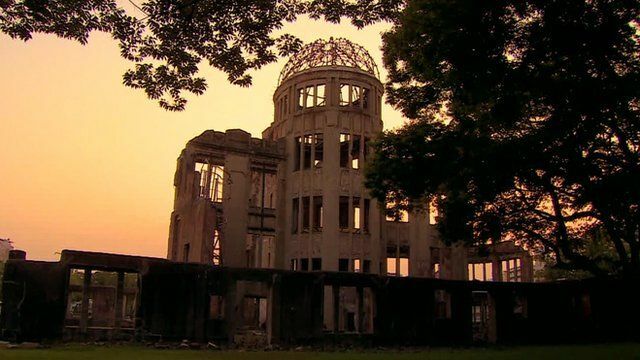 On the eve of the 70th anniversary of Hiroshima, the BBC's special correspondent Fergal Keane has been talking to survivors of the attack.